When I look back at my childhood, a huge part of it happened in between the pages of the books I read. I was obsessed with going to used bookstores (luckily, my mother was too!) and finding a great new read to sink my teeth into. Often today, people seem to hear this and think children who love to read are some kind of snobby intellectuals, taught by some myopic adult to feel superior over other children who don't read. Or worse - that they're only reading because they're being forced into it by a parent. Neither of these things was true for me, and I don't think a child who reads frequently has to fall into either of these categories. I wasn't reading a thesis on nuclear fission - I was reading kids' books, and I happened upon some of the best of them ever written, that taught me lessons I didn't realize I was learning. In no particular order, here are my memories of books that touched my life as a child. They not only act as nostalgia for me, but also form the basis for the books I think every kid could benefit from reading. Of course, my life isn't the basis for what's important for other people's children - but I'd love it if these things touched my kids (and yours) the way they touched me. 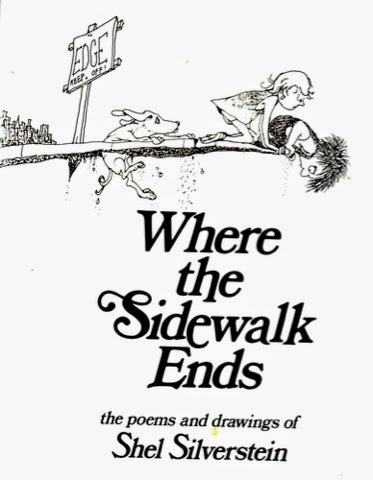 And anything else ever with Shel Silverstein's name on it. Falling Up and A Light in the Attic also hold a special place in my heart, but Where The Sidewalk Ends was the original for me. What made this collection of poems so special? Simple: Shel knew how to think like a kid. He thought of childhood problems like having to go to school when you didn't feel like it (little Peggy Ann McKay had a solution) and the drudgery of parentally-assigned chores (Sarah Cynthia Sylvia Stout wouldn't have it), but he also realized that the mind of the child is about fun and imagination. The whimsical creatures and sometimes disturbing thoughts that bent our ideas of the world activated that magical part of the childhood mind that I call the supercalifragilisticexpialidocious lobe. It's the part that disappears a little every time you pay your taxes. 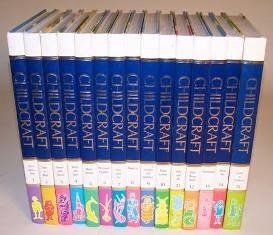 The titles of each volume differ a little from the Childcraft of today, but the core concept is still the same. I broke the spines on these babies. Edutainment at its finest. 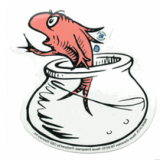 This fish was preachy. He reminded me of Zazu in The Lion King. Come on - you don't need me to tell you why Dr. Seuss is good for children. He does what the other authors and books on this list do so well: he combines whimsy with perspective. So let's just take Oh, The Places You'll Go! as read, shall we? What else does the famous non-doctor have to offer kids? What about the lessons of Horton the Elephant? Left with a responsibility that's most assuredly not his, he maintains that because he made a commitment, he's going to stick it out, no matter what. "I meant what I said and I said what I meant - an elephant's faithful, one hundred percent." There's much more to Seuss than his most famous moments: the eco-friendly Lorax, the Jim Carrey-defaced Grinch, the Bart Simpson-esque Things 1 and 2 and the ubiquitous graduation gift. Look into The Sneetches, The Zaks, and of course Green Eggs and Ham to give your kids a few valuable lessons cleverly hidden next to odd-looking trees. What is REAL?" asked the Rabbit one day, when they were lying side by side near the nursery fender, before Nana came to tidy the room. "Does it mean having things that buzz inside you and a stick-out handle?" "Real isn't how you are made," said the Skin Horse. "It's a thing that happens to you. When a child loves you for a long, long time, not just to play with, but REALLY loves you, then you become Real. ""Does it hurt?" 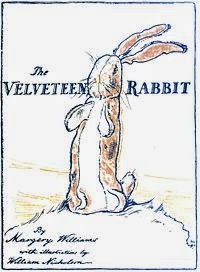 asked the Rabbit. "Sometimes," said the Skin Horse, for he was always truthful. "When you are Real you don't mind being hurt." 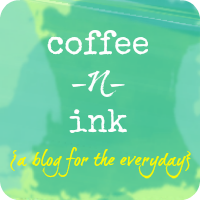 "Does it happen all at once, like being wound up," he asked, "or bit by bit? ""It doesn't happen all at once," said the Skin Horse. "You become. It takes a long time. That's why it doesn't happen often to people who break easily, or have sharp edges, or who have to be carefully kept. 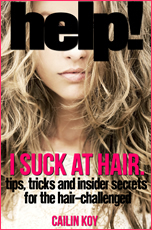 Generally, by the time you are Real, most of your hair has been loved off, and your eyes drop out and you get loose in the joints and very shabby. But these things don't matter at all, because once you are Real you can't be ugly, except to people who don't understand." 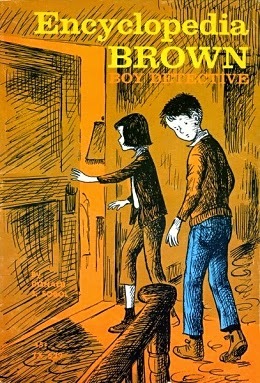 Although arguably not as profound as some of the other books on this list (Mr. Brown could be the basis for all of the episodic crime detective shows that pervade our television), good ol' Encyclopedia knew how to make kids think. I remember being frustrated by his riddles on more than one occasion (especially in the books that wouldn't tell me the answer, or that involved knowing some piece of trivia I didn't to get the answer - but I learned). However, it did stretch my brainpower and force me to think about things in a new way. I can't think of a much better lesson for children than that. 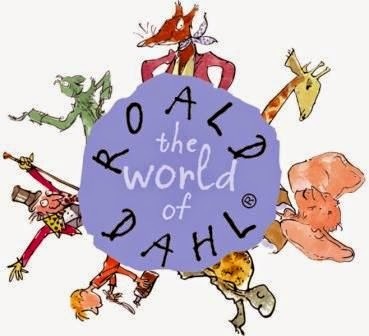 There's much more to Dahl than James and the Giant Peach - to me, his most brilliant books were Matilda and The Witches. This is not a theme we are typically comfortable discussing: the idea that our children feel different and alone on some level. We are certainly not delighted by the idea of indulging those feelings with the books they read, but basic psychological theory suggests that we need to confront all our feelings, even those that make us uncomfortable, to deal with them healthily and, ultimately, to grow. And to many, the core aspect of great art and literature is that it speaks to an uncomfortable truth inside us. Maybe I'm overanalyzing Dahl, but I truly believe that children gain something out of knowing they're not alone in feeling different. Other kids feel the same way. And a few talking mice don't hurt. Speaking of talking mice, we cannot forget the brilliance that is E.B. White. Please don't judge White on the feature film atrocities made out of his books (Stuart Little was far better in written form, I assure you) - White's world of personified creatures taught lessons beyond whimsy. 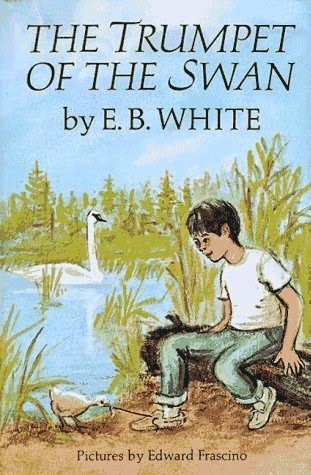 His characters were unflinchingly polite, for example - my personal favorite was The Trumpet of the Swan, wherein our hero is a mute swan unable to sing the song of his brethren and woo the object of his feathery affection. Instead, he goes to creative lengths to track her down and create a way to communicate with her. Charlotte's Web also deserves a real read, although the film outdid Stuart's by a good margin - reading the end is much more heartbreaking and real than watching Charlotte's thousands of cartoon babies chirp at Wilbur. And that proves my whole point in writing this article. I don't want to create another "kids today" diatribe, because I love kids today. Their little brains are going to be able to move a thousand times faster and absorb so much more than ours ever could. What I'm concerned about isn't the speed or volume of information - it's the ability to create new information using your imagination. Reading absolutely unlocks the imagination. It forces you to think about what something might look like, sound like, feel like because it doesn't hand you all the information up front. What books changed your mind and your life as a child? 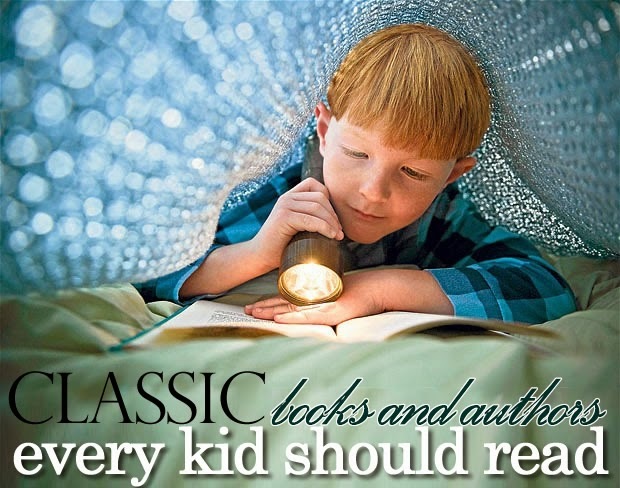 Which books did you make sure to share with your own children? I remember all of the Anne of Green Gables! They remind me so much of my childhood! Oh, good one! I hope our kids connect memories to books the way we did. Curious - do your kids read the books you read? I was obsessed with Anne of Green Gables, even watched the PBS mini series! My daughter would not read them but did collect all the Roald Dahl books. My boys like Diary of a Wimpy Kid and Goosebumps.